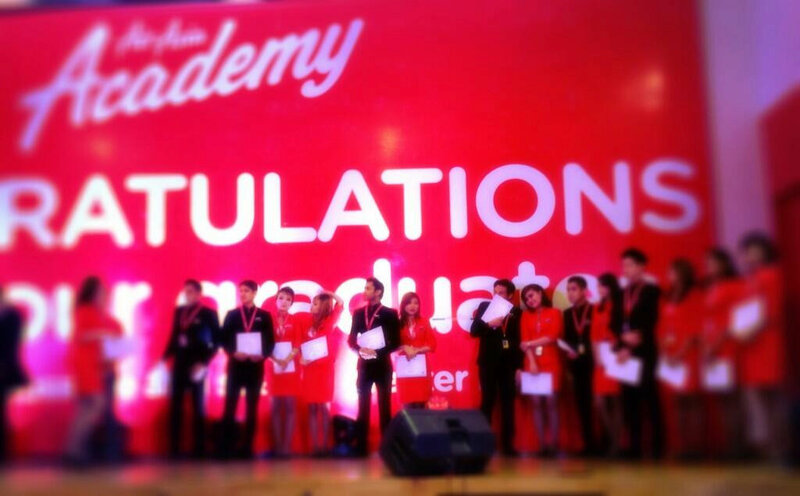 Air Asia today held a graduation ceremony for cabin crew that successfully completed training. The graduation was held at Asia Asia Academy, situated at Kuala Lumpur International Airport, between the airport’s two parallel runways. The 3 batches of freshly graduated cabin crew will be part of Air Asia India, and have already been released online at Air Asia. Air Asia Academy houses full flight simulators, cabin mock-ups, classrooms, and other facilities that support a self-contained crew training center. Line training has commenced for the flight crew. The airline has already received its No Objection certificate (NOC) from the Ministry of Civil Aviation (MoCA), and has filed for its AOP on 6th October, 2013, and is expected by early-mid November 2013. Operations at Air Asia India are likely to commence only in early 2014, with a fleet of Airbus A320 aircraft. Hi, im interest to become a cabin crew at air asia. Pls notify me. tq. I like AirAsia. It’s a well organized airline and usually on-time. I just can’t stand the LCC terminal at KLIA where they fly from. I hope this new terminal comes up soon.